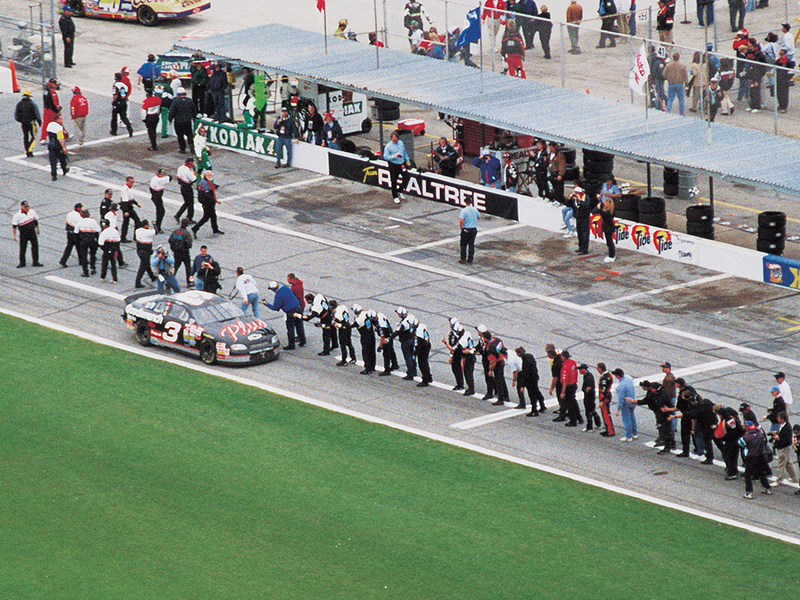 Some of our most historic DAYTONA 500 wins came in the 1990's including Dale Earnhardt's 1998 win on his 20th attempt. The first DAYTONA 500 at Bill France Sr.’s newly constructed 2.5-mile tri-oval superspeedway took place on Feb. 22, 1959. Famously, the race ended in a three-wide photo finish with Lee Petty and Johnny Beauchamp seemingly in a dead heat for the win. Moving over the next six decades, we take a look at the other 59 years of DAYTONA 500 history. In 1990, Derrike Cope completed one of the greatest upset victories in NASCAR history, passing Earnhardt on the last lap in Turn 3 to win the 1990 DAYTONA 500. 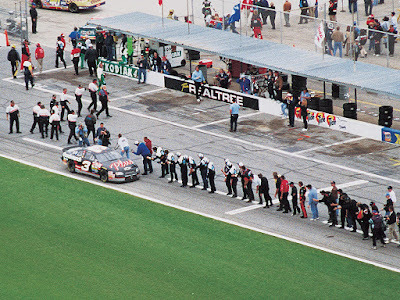 The following year, Earnhardt was once again passed late in the race, this time by Ernie Irvan in only his third career DAYTONA 500 start. Both Davey Allison and Dale Jarrett came from a tremendous racing heritage, with the likes of Davey’s father Bobby and Dale’s father Ned. Davey captured his lone DAYTONA 500 in 1992 four years after finishing second to his father Bobby, while Ned Jarrett called all three of his son’s DAYTONA 500 victories (1993, 1996, 2000) as a member of the CBS broadcast team. From 1994-95, Sterling Marlin in the No. 4 Chevrolet became the first driver since Cale Yarborough in 1983-84 to win back-to-back DAYTONA 500s. 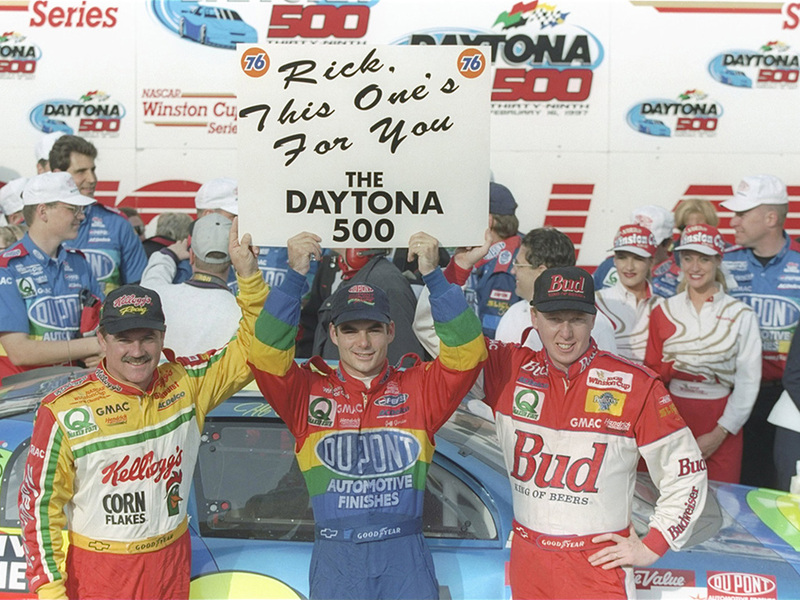 On Feb. 16, 1997, 25-year-old Jeff Gordon claimed his first DAYTONA 500 victory, becoming the youngest winner in race history. In a field that included 27 drivers older than 35 years and 16 drivers at least 40 years old, Gordon introduced the racing world to the next era of NASCAR. Proving that his victory was no fluke, Gordon claimed his second DAYTONA 500 victory in 1999 and would go on to ultimately win three DAYTONA 500s and four Monster Energy NASCAR Cup championships in a legendary 23-year career. After several close calls and late-race disappointments, Daytona International Speedway’s all-time winningest driver finally captured the one race that had eluded him for years. Dale Earnhardt, the driver of the famous black No. 3 Chevrolet, won his lone DAYTONA 500 in 1998 on his 20th attempt. 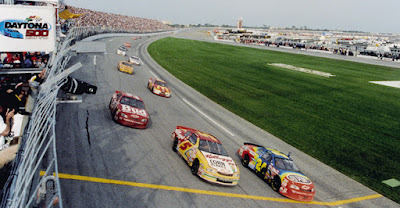 • In 1997, Jeff Gordon (25 years old) became the then-youngest driver to win the DAYTONA 500. • Dale Earnhardt holds the record for most career starts (20) before winning a DAYTONA 500. 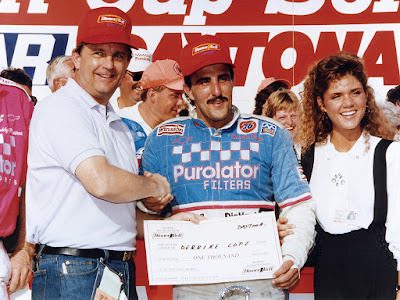 • The 1990s are one of two decades in which two drivers (Derrike Cope, Sterling Marlin) claimed their first NASCAR Cup Series win with a DAYTONA 500 victory. • Sterling Marlin remains the only driver whose first two career victories were the DAYTONA 500. • 1999 served as the final year of Dave Marcis’ incredible 32 consecutive DAYTONA 500 starts streak. Want a Chance to Lunch with #NASCAR 's Jeff Gordon?